What do a group of booksellers talk about when they get together for an evening? Would you reckon it would be a discussion of fine writing and the even finer points of bookselling? Or would they want to chat about fine wine and websites? Would they just eat a lot of cake? Last night Mark and I headed into Chipping Norton as the guests of Patrick and Polly, who run the fabulous Jaffe & Neale Bookshop & Cafe, for a gathering of the region’s booksellers in their beautiful shop. Booksellers from as far away as Berks and Bucks had travelled for the evening and the opportunity to have a natter about the current state of bookselling, how wonderful our customers are, swap recommends for great titles, have a moan about a few things (no prizes for guessing some of the subjects that came up) and generally agree what fun bookselling is, although tough going at the moment. It was a chance to catch up on (and praise) the hard work the Booksellers Association does and the great support we all get from our suppliers. 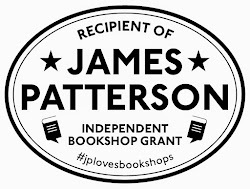 Of particular interest were developments ahead of June’s Independent Booksellers Week - and some of the exclusives being prepared by some of the big publishers for independents. We all seem pretty much agreed that modern bookselling isn’t just about finding great books to recommend to our customers (although that is still the heart of the business). But excellent customer service, schools advice services, events, social media, even e-books, are all things everyone was striving to be able to deliver in a tough economic climate and to be able to really make a difference. It was a chance to swap best practice on everything from computer systems to getting good local PR, and to come away with plenty of inspiration of how to take all the great ideas everyone else is doing and make our bookshops even better than before. Everyone seemed enthused to find ways to ride out the recession and come out still being able to share great books with enthusiastic readers, even in a few years’ time. It sounds like we might put together a ‘bookshop trail’ to both celebrate the uniqueness of our own shops, but also to encourage folk to go and take a look at what other booksellers in the region are offering. And there were even some tentative discussions about a potential ‘bookseller swap’, where booksellers spend a few days in each other’s shops to learn what they do differently. There were also some extremely interesting - and at times heated - discussions about eBooks. It was extremely important to realise that we are all to some extent considering not whether we should offer ebooks, but simply how to. It was a truly inspiring evening, so thank you to everyone who came along ready to share, to Meryl from the Booksellers Association who helped set everything up, and particularly to Patrick and Polly for their wonderful hospitality. (Particularly the raspberry and apple sponge, which Mark wholeheartedly recommends). 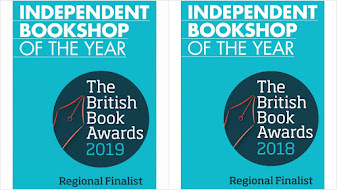 I think we offered to host the next one in the summer, so the main thought I came away with was nothing to do with bookselling – it was where am I going to get that much cake?? Well done everyone, sorry not to be there (just back from Reader's Retreat on Friday!) but do Ihope I'll get to yours - is there a date yet? Alos, glsd to hear of nay news re e-books! Thanks Anna - a date as soon as we know!